We continue to report on an issue in which iPad users experience weak/fluctuating Wi-Fi signals and/or inordinately slow transfer speeds. 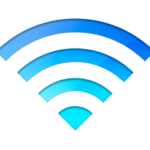 In these cases, users report fast connection and throughput from Macs, PCs, iPhones and other devices connected to the same Wi-Fi network, but significantly degraded speeds and/or fluctuating signal strength on the iPad. Previously mentioned solutions include turning the router off then back on, resetting network settings on the iPad, and changing specific router settings. Another potential solution that works particularly well in some cases of fluctuating signal strength is to turn off the “Ask to Join Networks” option. To do so, tap Settings on your iPad, then select “Wi-Fi” from the left-hand pane. Slide “Ask to Join Networks” to off. 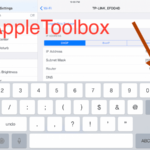 Speculation holds that leaving this option on causes the iPad to constantly seek networks, resulting in some type of interference with the network to which it is connected. I just randomly had bad wifi problems and nothing fixes it. HELP!!!!!!!!!! Thanks–worked like a charm! I’ve been dealing with this weak signal issue for months and turning off “join other networks” seems to have done the trick. Thanks for that tip. I turned off “ask to join networks” option but iPad still tries to search for networks regardless? I am sat next to router and signal is still on lowest? I can be at other side of house and signal is same whereas iPhone is on full strength at other side of house? Also tried all other associated problem solving issues with regards to router but with no joy?